In celebration of National Hot Tea Month, I hosted Dunkin’ Tea Time at the DD Mothership to enjoy our blends of hot tea, including Black, Green and Decaf. 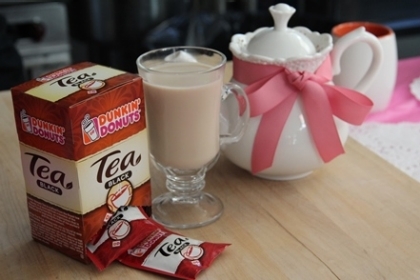 I wanted to make Dunkin’ Tea Time similar to a traditional afternoon tea, so I offered my guests a variety of tea options, including three Dunkin’ Donuts hot tea blends and a Honey Ginger Black Tea Latte. 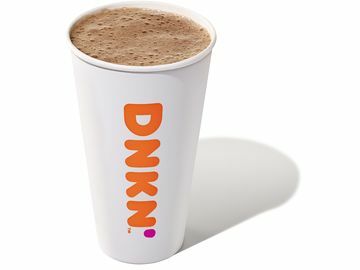 Using Dunkin’ Donuts Black Hot Tea, the Honey Ginger Black Tea Latte has delicious flavors and a wonderful aroma. I also served small tea sandwiches and desserts to accompany their tea. Using Dunkin’ Donuts Bagels, I put together a quick and easy recipe for Cucumber Bagel Tea Sandwiches. 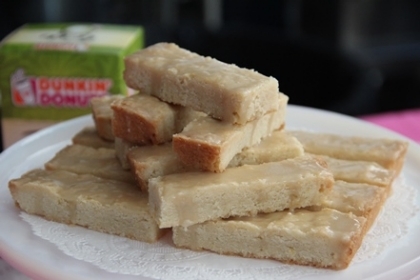 I had my fellow tea-loving colleague, Lena Sawin, help me with the dessert and she created a delicious recipe for Lemon Shortbread Cookies with a Green Tea Glaze. 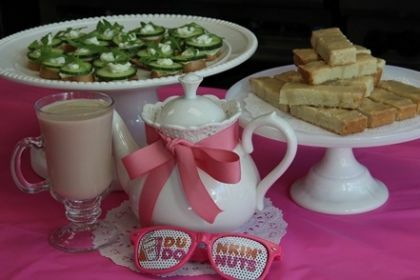 Check out all of our recipes below for some fun ideas on how to host your own Dunkin’ Tea Time! 1.) Pour water over tea bags and allow to steep for at least 5 minutes. 2.) Place ginger slices and cardamom in tea to infuse for at least 5 minutes. 3.) Place honey and milk in a sauce pan over medium heat, stirring, until simmering. 4.) 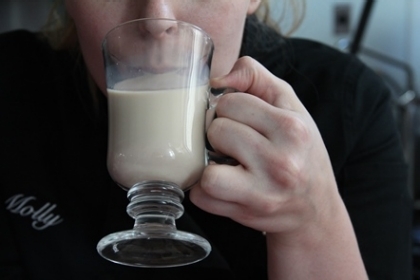 Combine tea and milk and serve. 1.) Cut the Dunkin’ Donuts Bagels into round discs. Place the bagel rounds on a baking tray and toast in the oven for about five minutes at 300 degrees. Once the rounds are toasted, take out of the oven. 2.) Combine cream cheese with pesto and spread onto each bagel round. 3.) 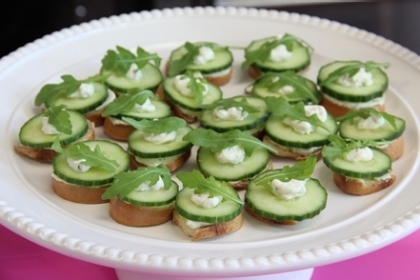 Place a cucumber slice on top of each bagel round and put another dollop of the cream cheese mixture on the cucumber. 4.) 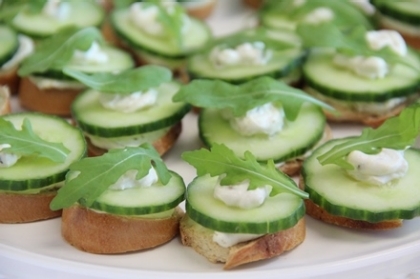 Garnish with arugula and serve open faced at tea time! 1.) Preheat oven to 325°F. Lightly grease a large square baking pan. 2.) In a medium size bowl with a wooden spoon, beat together the butter, sugar, salt, lemon extract, and lemon zest. Once combined, mix in the flour. This should form a stiff dough. 3.) Press the dough into the pan so that it is an even, smooth layer in the pan. Using a fork, prick the dough all over to prevent bubbling during baking. 4.) Bake the shortbread until it is a light golden brown, about 30 minutes. 5.) Remove from the oven and let cool for 10 minutes before turning the shortbread onto a cutting board or work surface. 6.) Cut the shortbread into rectangles and transfer to a cooling rack. 7.) To make glaze, pour 1 Small Dunkin’ Donuts Hot Green Tea into a pan and reduce it with 1/4 cup of honey. Remove from heat and add 1 cup of powdered sugar to make glaze. If too thin or thick, add more powdered sugar or green tea respectively. 8.) Place the cooling rack with the short breads onto a sheet pan and pour the glaze over the cookies to coat the top. It’s ok to let some of the glaze run over the sides! The sheet pan will catch that for you! 9.) Let glaze set and display on a platter or cake stand of your choice. 10.) 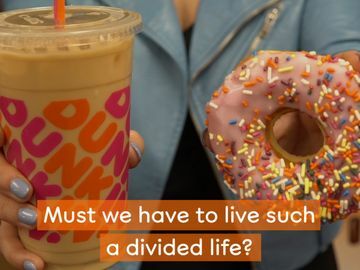 Enjoy with a cup of Dunkin’ Donuts Green or Black Hot Tea! 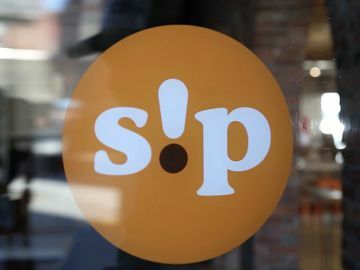 We had a wonderful (and delicious!) tea time to celebrate National Hot Tea Month. 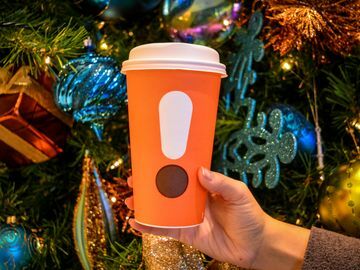 Now, we want our fans to host their own Dunkin’ tea time and share with us on Twitter and Instagram using the hashtag #DDHotTea. 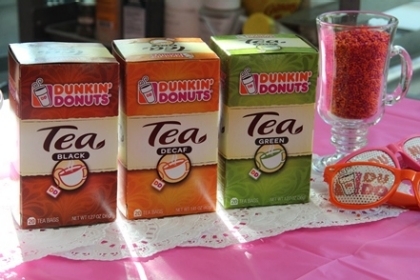 Head to your local Dunkin’ Donuts or Shop.DunkinDonuts.com to pick-up your Dunkin’ Donuts packaged tea so you can host Dunkin’ tea time at your home! 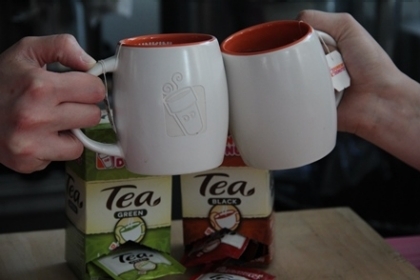 Show us your Dunkin’ Tea Time with hashtag #DDHotTea on Twitter and Instagram. 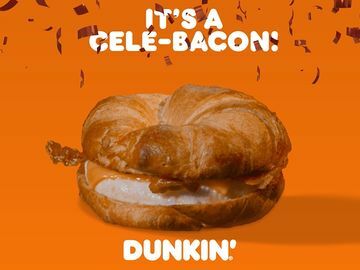 For more ideas and tips on cooking with Dunkin’ products, check out our recipes here!